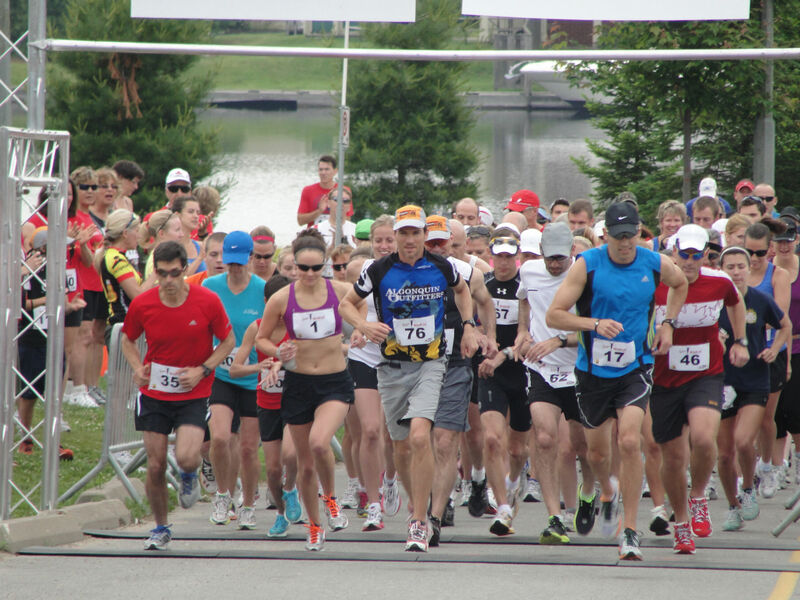 Hamilton will be invaded by a healthy contingent of Muskoka runners next Sunday at The Around The Bay 30K. This race is the oldest running race in North America, first run in 1894. In preparation for this race, a group of local runners has been meeting every Saturday morning for a few months. Some are running this as their goal race, others en route to summer triathlons, and still others have a spring marathon on the horizon. The group’s enthusiastic leader is Roger. Roger sets the insane start time of 6:30 am, which in winter means very cold and very dark. Even when Roger can’t join the group he ensures that the run is happening, and when he does come he arrives with a wide grin. When I complain each time I attend that “this is ridiculous”, he responds that we will feel great when we are done. He is right every time. In recent weeks, we’ve been spoiled by Lowell’s recovery shakes. I admit to some trepidation when he announced that the drink “would make me tinkle”, and felt a little less alarmed when he corrected me with “it may make you tingle”. Whatever weird magic I drank, it helped me recover. Also joining us most weeks are Katherine, Troy, Doug, Mark and Pierre. I know of at least 3 other local runners heading to Hamilton to race next weekend. Come out to the first meeting of Muskoka Algonquin Runners Tuesday March 19 from 7-9 pm at The Active Living Center. Wish these runners luck. Join the club. Run with other great Muskokans! This entry was posted in Races and tagged racing, Running, Running Club. Bookmark the permalink.